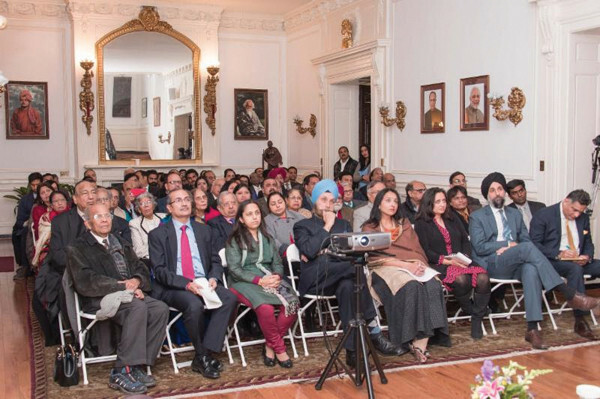 The Embassy of India in Washington, D.C., celebrated Pravasi Bhartiya Divas Jan. 9. The event was attended by a large number of guests from the Indian-American community, including representatives from business, politics, administration, professionals and members of the press. Welcoming the guests, Ambassador Navtej Singh Sarna extended greetings to the audience on the occasion that commemorates the return of the one of the greatest Pravasis – Mahatma Gandhi and celebrates the success and contributions of Overseas Indians to the countries they call home while yet retaining their connect with India. The video message of Prime Minister Narendra Modi on the occasion was shared with the gathering. 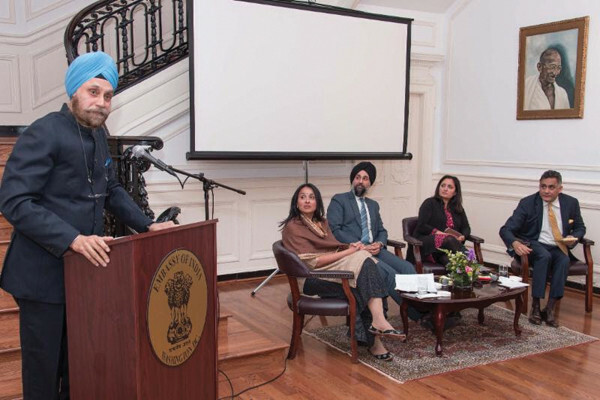 The program included a panel discussion on the subject “Indian Diaspora – Past trends and way forward” by Manpreet Anand, deputy assistant secretary in the Bureau of South and Central Asian Affairs; Puneet Ahluwalia,10th district Representative on the Virginia Republican State Central Committee; Sonal Shah, an economist and entrepreneur who is the founding executive director of the Beeck Center for Social Impact & Innovation at Georgetown University and Suhag Shukla, Esq., executive director and legal counsel and co-founder of Hindu-American Foundation. Previous articleIndia’s Envoy Lauds Community For Growing Ties With U.S.